Contract and Hourly rates available. Since 2007, the majority of work performed by Legend Painting has been on premium luxury homes in West Vancouver & Kerrisdale areas. We are residential experts, providing interior and exterior painting services for new custom homes, custom home renovations, and residential re-paints. 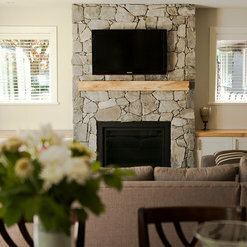 Interior and exterior Residential Re-paints, New Home Construction, Renovations, Strata painting projects, & Commercial. 2 year Guarantee, $2 Million Liability, & WCB coverage. Derek was extremely polite and respectful of our space and our family. He was quiet and very hard working, punctual and detail oriented. What I really appreciated was his honesty around issues when small mistakes or misunderstandings came up. He had solutions for problems and handled things calmly and business like. It was a pleasure having him in our home to do substantial indoor, difficult painting- high vaulted ceilings, and curved wall structures. I would definitely recommend Derek! We contracted with Derek at Legend Painting, to paint the exterior of our houseNd outdoor decks, in May/2012, and were extremely pleased with the quality of the work done, and the overall tidiness of the work area during the job. We hired Derek again in February/2014 to do the complete interior painting job. We were even more pleased! Derek did a great job with the wall preparation, and the quality of the paint job is superior. He gave us great advice on paint selection, works quickly and efficiently, he's very tidy and left the house spotless every day. He takes great pride in his profession, his services are priced very competitively, and he's very personable. 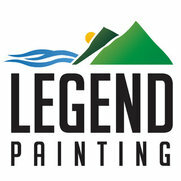 We would strongly recommend Legend Painting! To perspective clients, have no fear hiring the skills of this talented painter! Derek Green, is an on time, energetic, tidy, polite, young man. All of the traits you would like to have in the people who come to work in your home, but now you add to this the results of his efforts and you have the complete package. In our case we started out with one painter whom we had to let go, and good fortune brought Derek our way! Not only did he have to repair the previous work but completed a total repaint of our whole condo with expert results, no fuss, no mess, no spills! In conclusion, look no further and spread the news, Legend Painting is the one to choose!